I planned on making lemon curd for my Madeleines but I got sidetracked when I saw Amy's post and was smitten. I haven't made orange curd although I remember planning on it when I saw Mario Batali and Rachael Ray made their trifle in Battle Cranberry in a special Iron Chef episode. Sad that I never got the chance to make it as my interest was diverted into so many other things. But Amy's pictures are so awesome that I literally drooled and wanted to make it right away and I did. I just followed her list of ingredients and made it the way I make my lemon curd. It is so delicious and really had to stop myself from stealing spoonful after spoonful from the container. Now I have to put aside my Madeleines and make a trifle instead. Stay tuned for more. Meanwhile, here's how I made this yummylicious curd. Stir to combine, and cook over low heat, stirring constantly, for about 10-15 minutes or until the mixture coats the back of a wooden spoon. Thanks for trying the recipe and I appreciate that you link back to my post. 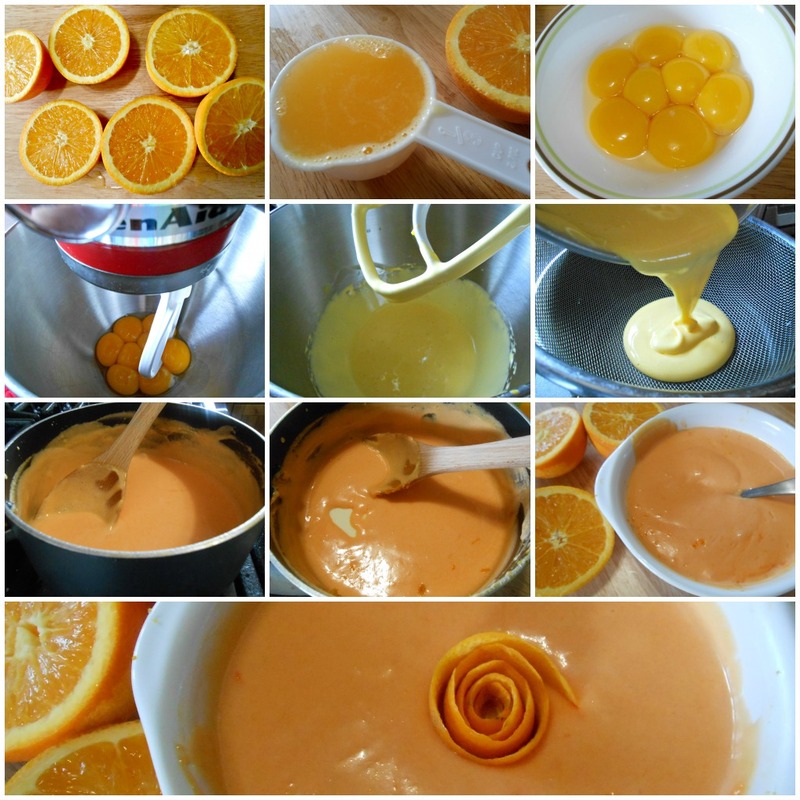 :) Your orange curd came out to beautiful! I love the rose you made with the peel, so artistic. I know, it's so delicious I have to refrain myself from eating the whole batch straight from the jar with a spoon! :P Take care and have a wonderful rest of the week.